A good way to show what kind of beverages you have in store would be to put a big sign in front of your shop to let people know or just use a big commercial display fridge. Maybe you want to store meat and vegetables in one fridge without having to worry about the optimal temperatures of both. Well, with commercial fridges, you get the benefit of storing and displaying your products in the best way possible, but not every refrigerator does the same job for the same type of product. 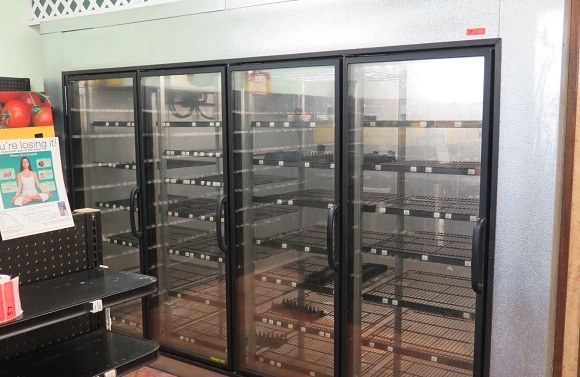 Display fridges come in different types from counter to multi-decks, but today we will compare the two most used in local shops and supermarkets. Let’s start with the big and spacious merchandiser fridges that typically come with 4 doors. Of course, there are other types ranging from 2 to 6 doors, but since these are the most commonly used ones, in today’s blog post we’ll talk about the 4 door commercial display fridge specifically. The big glass doors make for an easier and more pleasant shopping experience as customers can easily spot what’s on the inside of the fridge and see whether the item they are looking for is in it. This consequently will result in less energy consumption as the doors will get opened less and less energy will be wasted to maintain an optimal temperature. 4 door commercial display fridge models come with front ventilation for better temperature maintenance and have lighting on the front. This type of refrigerator is much like an ordinary household fridge but it has some pretty neat features that set it apart. It is designed to store different types of foods, thanks to what manufacturers call the “dual-zone”. With dual zones, you can have different types of temperatures inside the refrigerator which is usually separated into 2 or 4 areas. Reach in fridges are really powerful as they need to maintain different temperatures, which is why they are used in restaurants which have a very high demand, in order to have all kinds of foods ready to be used at any time. Reach-in fridges also come with built-in casters which make them easy to move when you need to free up some extra space or if you are switching places. They can also have glass doors as merchandisers but if you don’t want that kind of look, you can go for steel doors instead. There are also reach-in fridges that have Dutch (double) doors which provide a bigger storage place.